The big cheese is at it again! Mickey Mouse is headed out on another intrepid adventure to celebrate his birthday on November 18 with some of his biggest fans, and you can join in on the #HappyBirthdayMickey fun at all of our Disney Parks around the world. Let’s take a closer look at what’s in store. The big day is November 18, and Walt Disney World Resort will celebrate with special “Happy Birthday, Mickey!” buttons, merchandise and Sorcerer Mickey Cake. To commemorate the occasion, guests can sing and dance along with special “Happy Birthday, Mickey!” buttons, merchandise and Sorcerer Mickey Cake. To commemorate the occasion, guests can sing and dance along with “Happy Birthday” during Move It! Shake It! Dance & Play It!, Cosmic Dance Party in Tomorrowland and performances by the Dapper Dans. Plus, birthday photo props will be available at all four theme parks, and everyone who collects their photos at the parks will receive a folder with a commemorative sticker. Guests at Hong Kong Disneyland can pick up a special Mickey Birthday pin and a special edition Times Guide in honor of everyone’s favorite mouse. At Shanghai Disney Resort and Tokyo Disney Resort, guests will have the chance to sing “Happy Birthday” and join in unique photo opportunities. The Iron Man Experience, the first Marvel-themed ride for any Disney park, has an opening date set for Hong Kong Disneyland. The simulator ride billed as a multisensory immersion experience will open January 11, 2017. The ride will be located in Hong Kong Disneyland’s Tomorrowland, which is home to the Stark Expo. Tony Stark’s creations will be on display in exhibition halls the Hall of Legacy, the Hall of Protection, the Hall of Energy and the Hall of Mobility. Riders will then climb aboard the Iron Wing flight vehicle to take part in the ride, which will put them alongside Iron Man battling the forces of Hydra in Hong Kong. Because Universal Orlando owns the rights to many of the existing Marvel properties east of the Mississippi in regards to the theme parks, there has a minimal presence at Walt Disney World beyond the Iron Man-skinned monorail a few years back. Disneyland’s California Adventure park, though, is changing the Tower of Terror ride into one based on Marvel’s Guardians of the Galaxy. And Disney Cruise Line now has two ships with Marvel play spaces. Iron Man won’t be confined to the ride, though. There’s an Expo Shop with more than 70 Iron Man-themed items exclusive to the park and the opportunity for visitors to try on the Iron Man suit in an interactive game “Become Iron Man at The Stark Expo,” which also features a 35-second video of their transformation available for purchase. There will also be Iron Man-themed food and beverage options such as the Iron Man Waffle, Iron Man stein, Iron Man desserts at Chef Mickey Buffet and Iron Man beverages served at the resort hotels. 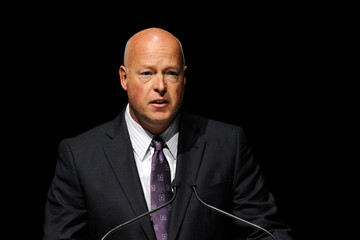 And the man himself will be in character at the park. “Anybody who visits a Disney park loves color and spectacle and excitement and adventure, and that’s all that Iron Man is,” said Iron Man creator Stan Lee. At Hong Kong Disneyland, the fairy tale just got a reality check. The theme park posted a net loss of $19 million in fiscal 2015 (which ended in September), according to a new report this week by the Hong Kong government, a part owner of the resort. A decreasing number of mainland Chinese visitors as well as “overall market condition and sentiment” were to blame, the report said. More difficult days may be on the horizon. The Shanghai Disney Resort is scheduled to open in June, sparking concerns that mainland Chinese, who make up more than 40% of the visitors at Hong Kong Disneyland, will opt for a closer-to-home experience. Disney executives have stood by their decision to open two parks. “There is a certain amount of the fan base that insists on visiting both, but for the most part they draw from the regions they’re located in. So we see the advantage in having a park in Shanghai to draw from this region, and [in the meantime] continuing to develop Hong Kong and invest in new attractions,” Bob Weis, executive vice president of Walt Disney Imagineering, said last summer. Visits are down: Hong Kong Disneyland received 6.8 million visitors in 2015, 9% fewer than in 2014. Mainlanders are staying away: In the fiscal year of 2015, mainland visitors accounted for 41% of total attendance, down from 48% in the previous fiscal year. Revenue is dropping: Hong Kong Disneyland’s total revenue in fiscal 2015 was $655 million, a year-on-year decrease of 6%. Profit is off: Fiscal 2015 also recorded a net loss of $19 million, as compared to a profit of $43 million in fiscal 2014. Hotel rooms are emptier: Hotel occupancy dropped from 93% in fiscal 2014 to 79% last year. To boost its appeal, Hong Kong Disneyland has announced several initiatives, including a new hotel and an ambitious park expansion. A new “Iron Man”-themed area scheduled to open in late 2016 will feature the Iron Man Experience, a motion-based ride presenting the American superhero in the streets of Hong Kong. “In view of the intensifying competition in the region, and the opening of the Shanghai Disney Resort in June this year, the Hong Kong Disneyland has planned a series of developments in the pipeline in order to give full play to its international features, and maintain its distinctiveness and competitiveness,” the report said. Iron Man, apparently, has a new rescue mission ahead. Tickets for Walt Disney Co.’s $5.5 billion Shanghai park will be priced at about 20 percent cheaper than for Hong Kong, as the company aims to draw families across income levels to its first theme park in mainland China. Daily regular tickets go on sale from March 28 and will be priced at 370 yuan ($56), compared with HK$539 ($69) for a one-day adult ticket to Hong Kong Disneyland, while those for children and the elderly will cost 280 yuan. It’ll also charge higher prices during peak periods such as weekends and public holidays, Disney said in a statement. “Shanghai Disneyland’s two-tiered pricing and date-specific tickets will allow the park to manage the extraordinary anticipated demand,” Disney said Wednesday. The park, scheduled to open June 16, will limit the maximum number of guests and adhere to local capacity regulations, it said, without specifying the allowed numbers. Chief Executive Officer Robert Iger has called the China resort Disney’s greatest opportunity since Walt Disney himself bought land in Central Florida in the 1960s. The company is counting on a pool of 330 million Chinese who live within a three-hour train or car trip of Shanghai to buy tickets. Tickets will be priced at 499 yuan during the park’s two-week grand opening from June 16 to June 30. Following that, the same price will apply to adult tickets during high-demand periods such as designated Chinese holidays and during summer holidays in July and August, said Disney. Hong Kong doesn’t charge peak period prices. Similar to practices at its two other parks in Asia, Shanghai Disney’s discount for visitors aged 65 and older is a nod to ageing populations and extended family structures, which could see two sets of grandparents accompanying each child in the world’s most populous nation. Seniors, and children with height above 1 meter and up to 1.4 meter, will also get discounted peak period tickets. The Shanghai park, Disney’s sixth worldwide, is estimated to attract 25 million visitors annually, less than about 31 million who visit Tokyo Disney Resort annually because of the lack of the “novelty premium” as the park is the third one in Asia, Deutsche Bank AG analysts Tallan Zhou and Karen Tang wrote in a Feb. 1 report. At 963 acres, the Shanghai resort is three times the size of Hong Kong Disneyland and the company has been allotted enough land in the Shanghai International Tourism and Resorts Zone to expand up to 2.5 times in the future. It will open at a time when the world’s second-biggest economy is slowing, but Disney’s Iger said he’s still confident about betting on the Chinese consumer. 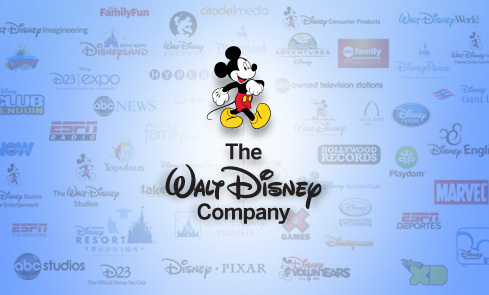 The Walt Disney Company recently reported record quarterly earnings of $2.5 billion for its third fiscal quarter ended June 27, 2015 compared to $2.2 billion for the prior-year quarter. The report goes on to detail performance in the Parks and Resorts division. Parks and Resorts revenues for the quarter increased 4% to $4.1 billion and segment operating income increased 9% to $922 million. Operating income growth for the quarter was due to an increase at our domestic operations, partially offset by a decrease at our international operations. Higher operating income at our domestic operations was primarily due to volume and guest spending growth, partially offset by higher costs. The increase in volumes was due to attendance growth at our theme parks and higher occupied room nights at Walt Disney World Resort and our Aulani resort in Hawaii. Guest spending growth was due to higher food, beverage, and merchandise spending, increases in average ticket prices at our cruise line and Disneyland Resort and higher average hotel room rates. Cost increases were due to labor and other cost inflation, costs for the 60th Anniversary celebration at Disneyland Resort and higher pension and postretirement medical costs, partially offset by lower marketing costs at Walt Disney World Resort. Lower operating income at our international operations was due to lower attendance and occupied room nights at Hong Kong Disneyland Resort, higher operating costs at Disneyland Paris and Hong Kong Disneyland Resort, and higher pre-opening expenses at Shanghai Disney Resort. These decreases were partially offset by higher average ticket prices, increased food, beverage and merchandise spending and higher volumes at Disneyland Paris. The Hong Kong government plans to double the size of the Disneyland theme park with Walt Disney Co. in the city. Financial Secretary John Tsang told lawmakers during his annual budget speech Wednesday that the city’s government will hold discussions with Walt Disney on further expanding the Hong Kong Disneyland resort, which is 52%-owned by the city’s government and 48%-owned by Disney. He didn’t specify when the planned discussion will take place. The second-phase development will cover an estimated area of 60 hectares, like the first phase, with attractions, hotel development and retail facilities, according to Tsang. Hong Kong Disneyland Resort said today profits grew to HK$332 million last year, representing an increase of 36 percent over the previous year. The theme park operator, in which the Hong Kong Government owns 52 percent, said revenue reached a record HK$5.46 billion, up by 12 percent. Attendance and guest spending were also at record levels, the theme park operator said today. Attendance reached 7.5 million in 2014. In January, Hong Kong Disneyland broke ground on the resort’s third hotel, Disney Explorers Lodge, marking another exciting milestone in the resort’s development as a world-class travel destination. The 750-room hotel is slated to open in early 2017, and will embody stories from the grand era of exploration and adventure in the 1920s. Inspired by explorer’s travels to an African savannah, a South American rainforest and a Polynesian island paradise, the resort will allow guest to discover the exotic cultures and the natural beauty of Asia. Debuting at Hong Kong Disneyland in 2016, guests can experience the very first Disney attraction based on a character in the Iron Man Experience. Located in Tomorrowland, the Iron Man experience will allow guests to see firsthand the progression of Tony’s Iron Man suits and many other Stark innovations in Expo format. The super-charged attraction will take guests on an epic adventure against the forces of evil over the streets and in the skies of Hong Kong. In addition, guest will have the opportunity to meet the man, the myth, the legend himself: Iron Man. 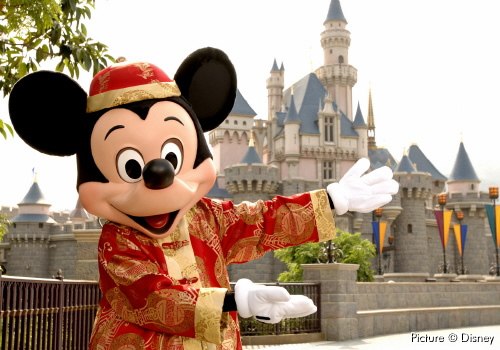 And coming up this year, Hong Kong Disneyland will celebrate its 10th Anniversary! There are lots of surprises in store and, along with all these expansions and enhancements, Hong Kong Disneyland is sure to continue to strengthen its positioning as the premier vacation destination in Hong Kong.